Regardless of what addiction treatment program or avenue of recovery one takes to free themselves of a drug and alcohol addiction, chances are the ongoing program of recovery they live after treatment will include some form of meditation. Addiction is an disease that affects the sufferer physically, mentally and spiritually. Meditation is a practice that has benefits physically mentally and spiritually. Therefore, the practice of meditation goes hand-in-hand with a journey of personal recovery and is a practice that will have inherent benefits if practices consistently. 2: to engage in mental exercise (as concentration on one’s breathing or repetition of a mantra) for the purpose of reaching a heightened level of spiritual awareness. There are many ways to meditate. It can be done alone or in groups. In silence or with music. In a calm, serene area or during the hustle and bustle of everyday life. It’s not so important how one meditates but simply that one does meditate. Each individual needs to see what methods of meditation work for them, but once they do it should be important to then carry that action of meditation into their daily lives. Meditation carries great mental and psychological benefits. It can help decrease anxiety, increase calmness, gain focus and peace of mind, improve emotional stability, decrease stress and offer relaxation. Meditation carried great spiritual benefits. It can allow for increase open-mindedness, creativity, happiness and oneness. It can allow for the person meditation to get better in touch with their body and their mind. It can increase intuition and consciousness and further personal transformation. 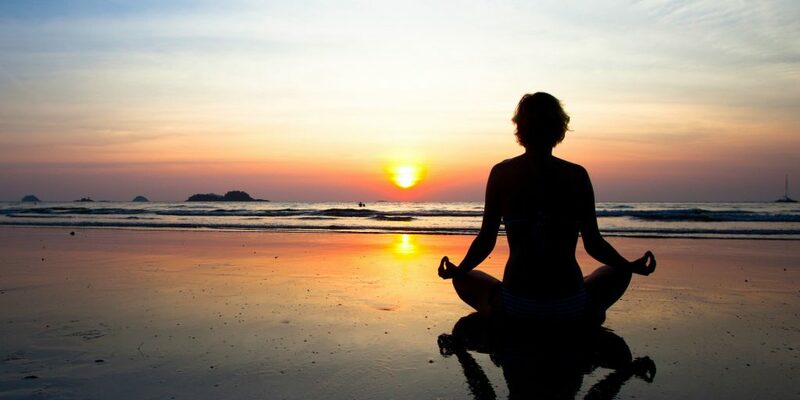 For hundreds and thousands of years, religious and spiritual organizations have promoted the practice of meditation. The quieting of the mind and the opening of the heart and soul have for years been practices that promote long term sustainable happiness, contentment and peace. Meditation has been known to sharpen the mind and increase awareness. Many credit the practice of meditation in the achieving of a higher state of consciousness and a fuller, enriching life. Like much in life, meditation is a practice that needs consistency to improve, so the regular practice of meditation will allow for better results. For those in recovery from addiction, meditation offers an extension of the basic practices of most treatment and 12 Step programs. It is a practice that can further spiritual growth and certainly is beneficial in achieving emotional health and well-being, something that everyone can use not just those in recovery.